Imelda Munster is married to Niall and is the mother of two teenage girls and lives in Melifont Park, Drogheda. 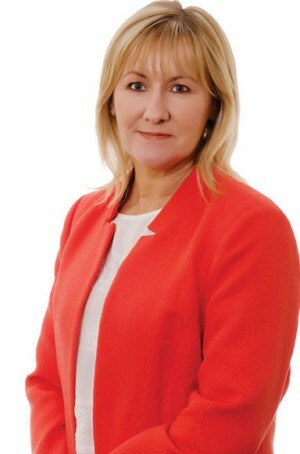 Imelda was elected to Louth County Council representing the Drogheda East area in 2004 and was re-elected in 2009 to both Drogheda Borough Council and Louth County Council. At this stage Imelda left her job to become a full time public representative and in May 2014 Imelda topped the poll in Co Louth with 2,317 and is now the longest serving female councillor on the Council. A member of Sinn Féin for over 28 years, Imelda is a committed and tireless worker for the people of Louth and has a reputation for sticking with an issue until it is completed to her satisfaction. Diligent in her decision making working hard to ensure all matters are taken into consideration at meetings, never afraid to tackle issues in the Council or the media whether it is hospital closure, road safety or lack of resources in the town, she has aggressively pursued unscrupulous developers and worked for better planning enforcement in Co Louth. Imelda believes water is a basic human right and is opposed to the introduction of domestic water charges. A passionate advocate for social justice and equality, campaigning against government cuts to local services and unfair home taxes, believing that Sinn Féin’s economic and social policies of ‘putting people first’ is the solution for many families in Louth who are struggling because of the government policies of austerity and cutbacks. A committed trade unionist, Imelda is an active party member, Secretary of the Cottage Hospital Action Group and is currently the chair of Co Louth’s Housing Strategic Policy Committee.